When jewellery hits the road: Collection on Tour – another huge success in 2017! In view of last year’s great response to the collection going on tour, it was only natural that the new items of jewellery from the SPRING / SUMMER brochure would hit the road again in spring this year! The highlight was, of course, that the collection went on tour BEFORE the official launch! The spring-fresh collection made stops at six locations: Berlin, Wutach, Essen, Kempen, Wermelskirchen and Nuremberg. 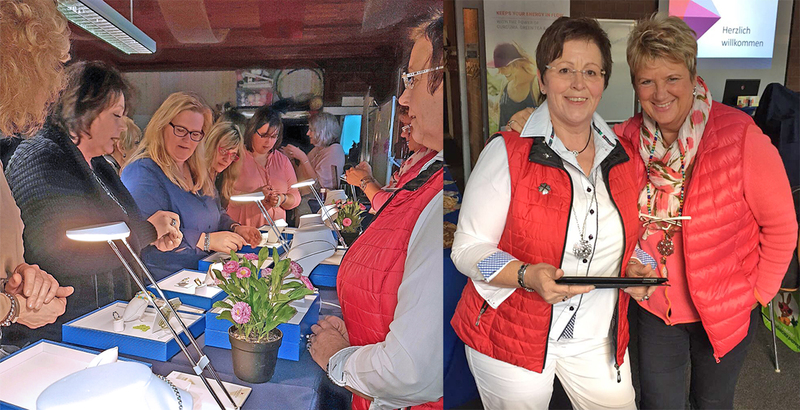 Another Collection-on-Tour event was also held in Kleinbottwar / Baden-Württemberg on the first weekend of April. The response was extremely positive overall: business partners and everyone else who was interested turned up in large numbers at the local events to be the first to take a look at the new creations, to try them on, ask questions about them and to talk to others about them. The special presentations in the shape of red-carpet fashion shows were also very well received! It’s safe to say that ENERGETIX’s jewellery and the internationally tried-and-tested business idea won many new friends wherever it appeared!